We have conveniently spread our accommodations over three distinct buildings; Goldwater, Flowers, and Calais. This layout allows us to provide six contrasting room categories, which results in multiple options and allows you to find the right fit to meet your needs. 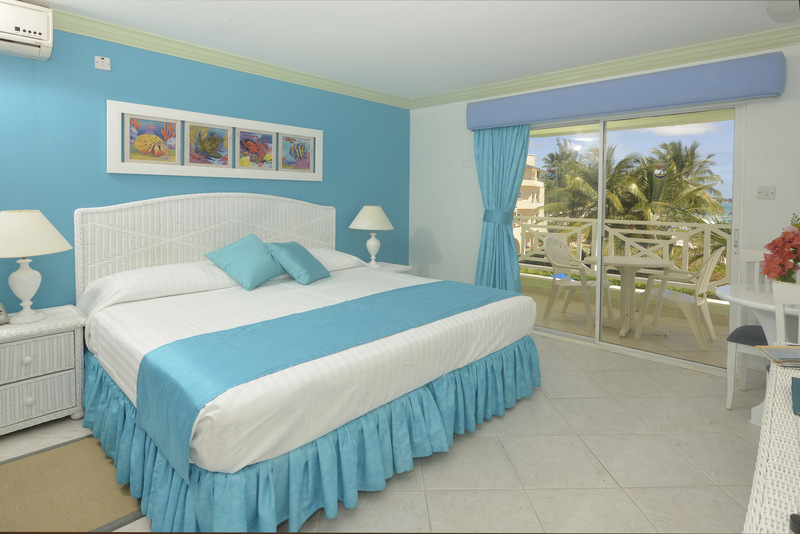 Perfect for singles and couples, these rooms are tastefully furnished, air-conditioned and spacious. Located in the Goldwater building the rooms are our most basic in our room categories, carry twin or king beds and are equipped with coffee station, a small refrigerator, electric kettle, microwave, cable TV, radio and hairdryer. This category of accommodation in the Flowers Building is very popular with family or friends who want to bunk in the same room. 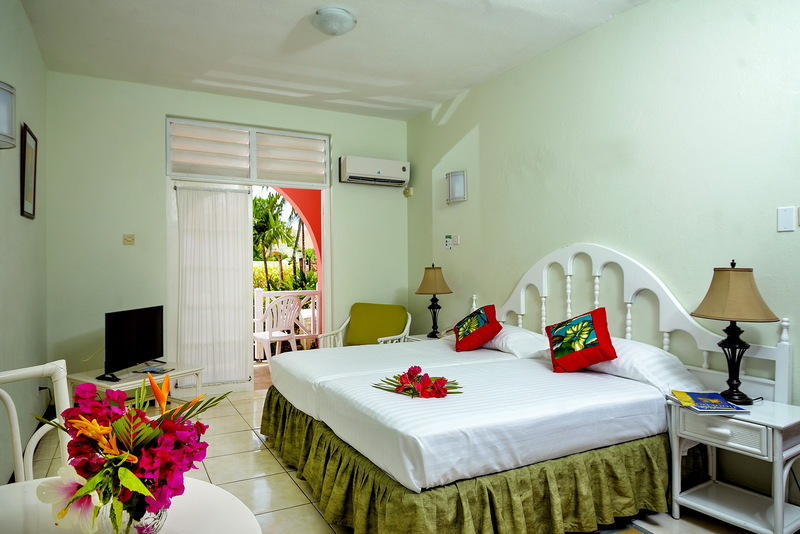 The garden view, air conditioned rooms are spacious with a separate bedroom and living room, which can accommodate an additional bed for sleeping arrangements. Also equipped with kitchenette, cable TV and safe and accommodates up to 4 adults. This room category is our 3rd level of accommodation and located in the Calais building with a limited view. 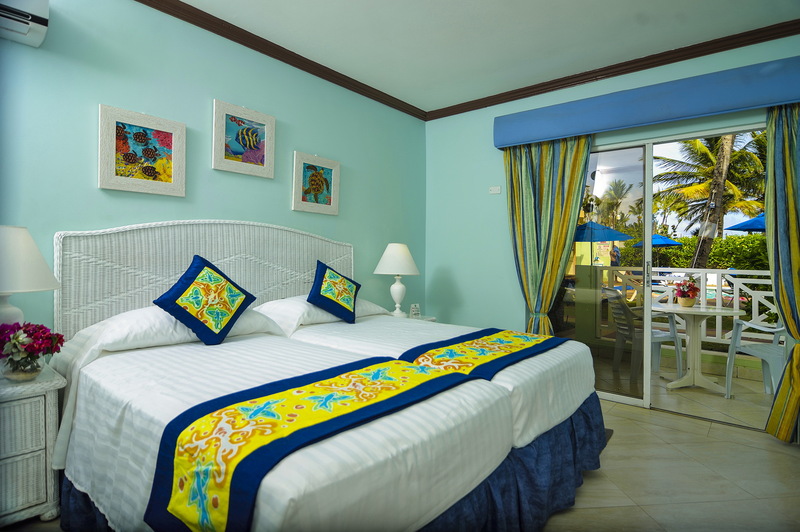 The studios are air-conditioned and are equipped with a small kitchenette, cable TV, and safe, with king or twin beds, and big enough to add a third bed to facilitate a family. Our level 4 room category and located on the ground floor of the Calais building directly in front and steps away from our awesome pool. 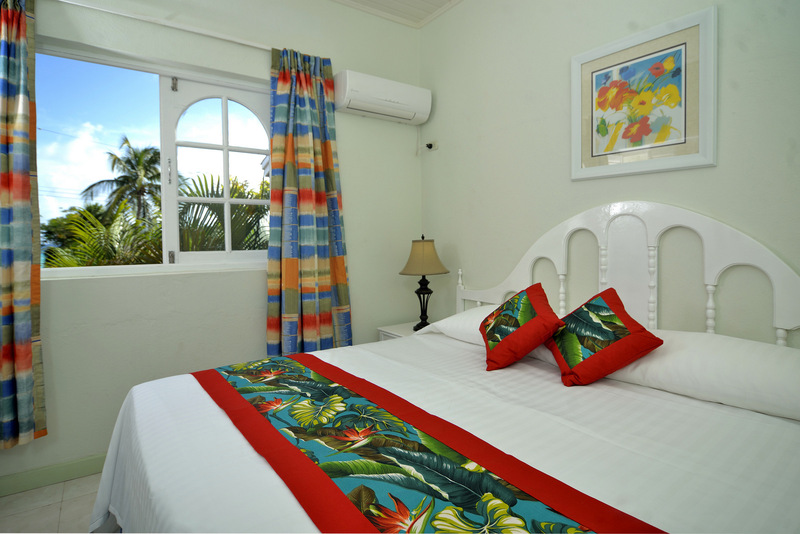 The rooms are air-conditioned and include a kitchenette, cable TV, safe and king or twin beds, accommodating two adults. These rooms are our highest level of accommodation and are also in the Calais building. They command an alluring view of the beautiful turquoise ocean coloured. 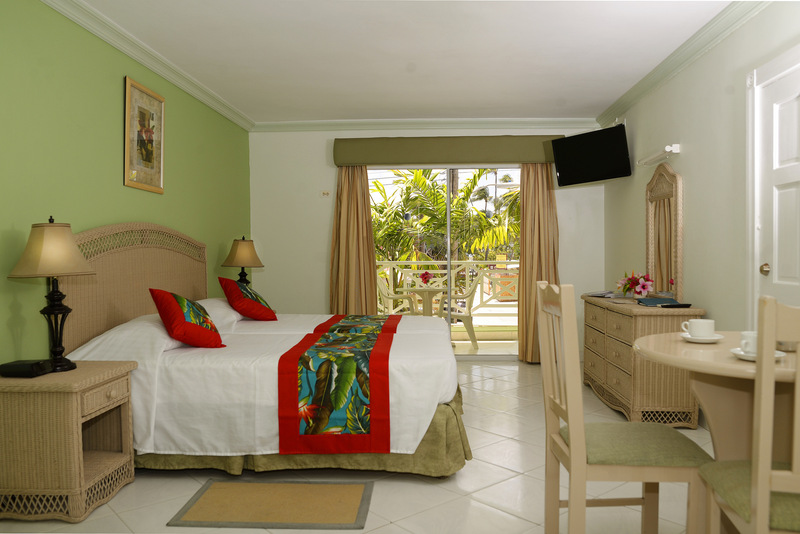 The rooms are air-conditioned with a kitchenette, cable TV, safe with king or twin beds accommodating 2 persons. Set amidst lush gardens and shady trees in our Flowers building, this room category is one step up from the Standard Room. 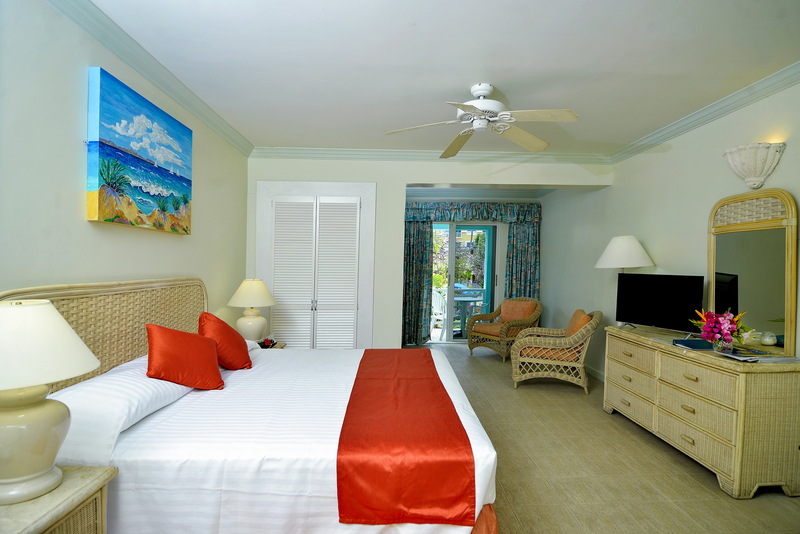 The studios are air-conditioned and are equipped with a small kitchenette, cable TV, and safe, with king or twin beds.